'Tis the season for story telling. Create memories by gathering your favorite people together to share tall tales and fascinating yarns. The public speaking game, "story starters", is perfect as a starting point to get the stories flowing. It's inclusive. Everybody, excepting very young children, can take part and share a story. AND of course practicing impromptu speaking! Everything you need is in a downloadable pdf. To get it just click on the link Story Starters. For even more verbal hijinx and silly speaking nonsense, to develop public speaking under the guise of fun, check out this link public speaking activities and games. You'll find links to many more games that you can easily adapt for groups of family and friends. They're a great alternative to screen-time. For many people this time of year is a time of change. They leave jobs and have to say goodbye to colleagues. Inevitably they'll be asked to say a few words - to give a farewell speech. For others there's the speech at the office Christmas party to give. 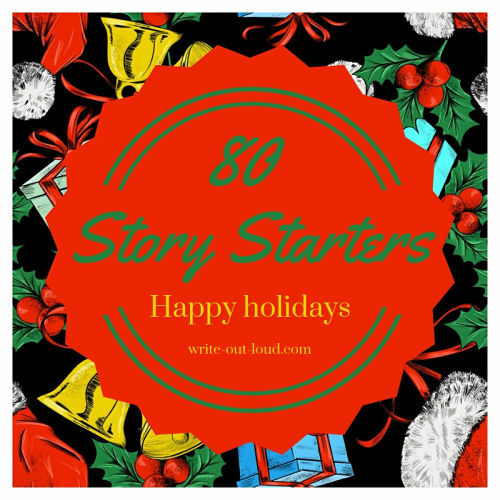 While everybody else is gearing up for a jolly good time they're nervously scrabbling together ideas about what to say to wrap up the year, to thank everyone for their work and wish a happy holiday to all. Is that you? 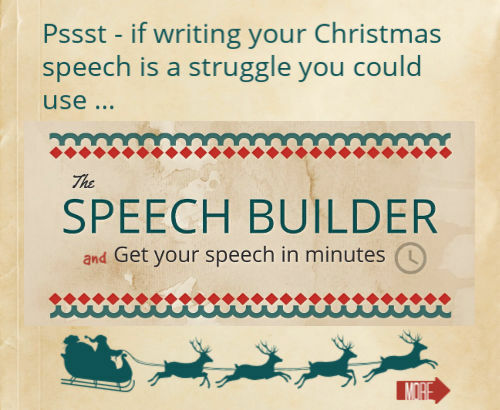 If you need a farewell or Christmas speech and you're short on time try my Speech Builder. This will help you prepare a good original speech very quickly. Spend approximately 15 minutes and $10.00 US and you'll have your speech ready to go.